Do you stress about your children’s exams ? What do you do to make them deal with exam stress ? My daughter just turned 5 .She has exams.But just doesn’t know what they are and that they can cause stress.If I have my way ,I want her to be this way forever.I want her to learn her school work well and do her best .But not stress over it so much that she stops having fun learning . I haven’t started dealing with exam stress for her ,but till a few years back I had exams . Study throughout the year.Do your daily work then when its revision time,you do exactly that .Revise.No stressing over completing syllabus. Eat healthy and sleep on time during exams.Keep your water bottle next to you The snack box is inside your drawer .You can nibble every two hours..Absolutely no late nights.The only thing sleep deprivation does is make you forget what you know.Believe me have tried both! Dont forget a hobby or light relaxing reading at least twice a day for unwinding the mind.Plus unrelated activities often make you remember better. Exercise .At least 20 minutes.Walk run,jog,dance .Just don’t stop exercising.If needed read while walking. Study in a room with no distractions.Not in front of the TV .You may think this works best for you.But it just makes your brain tired. Make revisions fun.Sometimes reading the same thing over and over is boring.Try to make fun quizes out of your study material . Try group studies once a week with friends who are sincere. It breaks the monotony and gets you a fresh outlook.Try to recollect what you studied the night before when you set out for the day. Eat a healthy breakfast before going for exams. Think positive all the time no matter what.No negative self talk and don’t listen to negativity. Do your best and compete with your own self.Always. Work hard and pray everything will work out. Then there will be holidays to laze around. Neha Tambe won this week read her winning post here. Neha Tambe blogs short stories. Her stories draw inspirations from real life and situations and are low on mushy, make believe stuff. Neha thinks the real beauty of life lies in the stories that surround us.She is a freelancer for Social Media Marketing and Content Writing.Check out her portfolio here. Comment on this post and cohosts post and tell us the 2 other post numbers on which you commented(very important criteria for winning). Prompts will be announced every Sunday at 20.00 hrs IST. Every week we will have one featured blogger who is the best reflection of our #MMM goals. 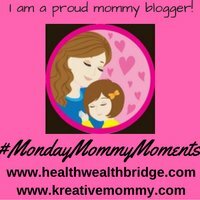 Blog hops are a great way to advertise your brand and content.In our #Monday MommyMoments we want our moms to get the full benefit of this linky.But for that you need to follow the rules. Darn I did a post on exams just last week. Wish I could have known and linked up :-). Some great tips there. I shall pass them on to the kids and hope they follow at least some of them. This is such a cute little letter for Rai. Very good tips Amrita. Kids should not study in front of TV and healthy food and exercise is also important. Dont worry if you dont stress it,the little one wont either. Excellent piece of advice, Amrita. Happy to link up for #MMM !!! I’m not a big believer in exams. I want the system to come up with another way of testing intelligence. Interesting idea.Life unfortunately always tests us. I need to share this with my nephew’s parents. He’s not in school yet but will be soon and I know it’s a stressful time for parents. I think along similar lines. I didn’t have to teach him anything till now. He learns it all at school or by himself. In fact he is my kannada guru. 😀 I believe we should allow them to have fun but also we should not allow them to be labelled as weaklings just because they don’t try hard enough. They should always just do the best they can and be stress free. I agree whole heartedly Preethi. I’ll have to pass this along to my friends who have kids! I feel like they will be stressing about their kids exams soon. I have one friend who debating to put their kid in private school and it’s giving her a headache. Thanks for shedding some insight on your experience! Yikes, exams at 5 years old. That would be completely stressful. This is great advice! Great read for moms! I dont stress about my kids exams. I have one adult child and three teens so this is to my first rodeo. My kids are pretty independent with three school work and I’m just there to coach and help if/when needed. You are obviously a well balanced mommy! Thanks for reading.Best of luck for exams. I really liked the sincerity of this post. If a child learns to study – in the balanced way that you’ve mentioned – while in school, this will help him/her later in life. This can help them develop sound judgement in other areas of live. Well done! Exams can be really stressful. These are wonderful tips for someone that has an exam coming up. Lots of people have exam stress. I was great at taking tests, so when it turned out that all of my kids were freaked about by exams, I had to do my research. One of the best things I did was enroll them in test- taking prep classes. This way, taking tests didn’t seem like an occasional thing, it was a normal process to them and they also learned strategy which was calming. I agree, doing each person’s best is all that can ever be expected. Thats a great tip.I did the same too for both my entrance exams.Prepping for tests is great ! Studying throughout the year makes the course easier to learn during exams. I have myself tried this and make my daughter also understand the importance of this way. This article is great I’m going to make sure I share it with my sister who is affected by the exams time. I personally think it shouldn’t be such a stressful time, I mean, exams are not nice but could be handle better so you actually learn and don’t suffer in the process, thanks for sharing this. These are definitely important tips to keep in mind. At the first school I worked at, there was a lot of pressure from the parents and I could see it come out in all sorts of anxiety and other behaviors. It was really unfortunate. Parents should be encouraging and supportive, not overwhelming. I don’t stress out too much when my kids have tests. I just remind them to do their best and hope for the best. My kids do have standardized tests coming up and while I probably should care more about them, I think they’re crap and give kids unnecessary stress. So I’m more frustrated with those. My daughter is only one so I’ve not thought about this yet. Interesting read however, the thought of a 5 year old being stressful over exams is worrying. I’m not sure which country it is but they don’t do exams so young which I think is a good idea. No 5 year old is definitely not stressed over exams and have no formal tests as such! When I was studying, a week before my exam is the intense review. Then during the day of exact, an hour before of exam, I always play my fave online video game just to relax. Its weird and a bit dangerous for some (especially for those who are afraid to fail) but am not. But with my techniques, I always pass with flying colors.. or perfected the exams 🙂 Ahh I LOVE SCHOOL! Yes thats a great tip.It actually relaxes you and you recollect better! Same as you, my son doesn’t have formal exams yet. There will be assessments which nobody knows when and in what form will they be taken. Thus, both of us have no reason to be stressed. We do his revisions regularly and in a fun manner. When I saw the prompt I did not know what to write because I am nowhere close to the exam stress situation. However, the points that you have enumerated in this post are definitely going to be helpful when the exams start next year in 1st Std. Thanks Anamika.Glad you found the points useful.I plan to not let stress ,stress me.